i don't think most people listen to music the way i did when i was younger. (i think i could safely say "we" – meaning people my age.) i certainly don't. and to be honest, i miss it. back then, my dad bought me a good share of albums. hello dolly. annie. (uh, dad?) and lot's of beatles, too. but every so often, on a saturday when i'd finished my chores early (not milking cows, or mowing the lawn, or raking leaves – dusting in the living room – ugh! slave drivers!) my mom would take me to the record store in burlington, wisconsin – off the record i think it was called (a name later stolen by me for my critics column in the high school newspaper) – and i would spend the seven dollars and ninety-nine cents i'd saved up (or my mother had given me) on a big, square, colorful thing, shrink-wrapped in plastic, that i would then touch, fondle, and stare at all the way home. sometimes it was too much to handle – the waiting – and i'd slide my thumbnail along the side, into the groove, and break open the plastic. that way i could open it up and see the pictures inside: elton with the band, barbra clowning in her superman t-shirt, the captain looking longingly at tennille. With you, I will walk the line. how would that melody go? what would jeff lynne sound like singing it? was it a ballad or uptempo? today at the gym, i listened to one of the best albums of all time. if you asked me, ten minutes before it popped up on my ipod, "what do you think are the best albums of all time?" 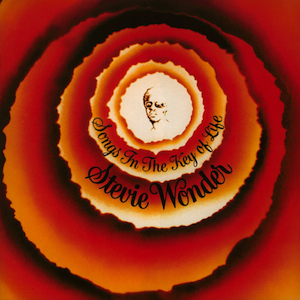 i would have included it in my list: songs in the key of life – stevie wonder. from start to finish. in one sitting. with headphones on. no interruption, no distraction. just me, the headphones, and the album cover. reading along with the lyrics, looking at the liner notes. wondering who michael sembello was. or whad did w.g. "snuffy" walden do, and who gave him that goofy nickname? today, when i heard the first notes of "love's in need of love today" (the first song on the album) i thought to myself, imagine hearing this record for the very first time. when it was brand new. when those notes had not been played over and over again a thousand times in everyone's head. and i realized, i did that. in 1976. i sat there, in my bedroom with the headphones on and listened that way. fresh. new. and then i listened to "have a talk with god". and "village ghetto land". and eventually "sir duke" and "i wish" and...well, the rest. today, as i neared the end of each song, i realized how different it is – the way we listen to music. because as one song was ending, i could easily tell you which song was next, even sing the opening notes for you. this is true through the entire album, one song after another, until the collection of songs ceases to be that – a collection of songs – and becomes a whole unique experience. an experience we don't have very often today, if at all. 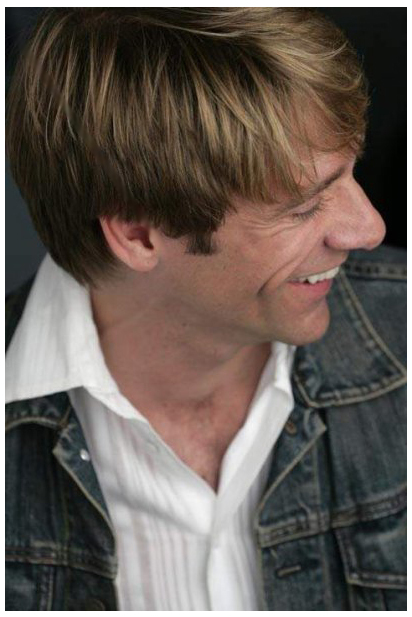 if you haven't heard songs in the key of life lately, or – i'm sorry for you – ever, find it on your ipod, or in your itunes, or better yet, find the actual cd, and take time to listen to the whole thing. one song after another. put on some headphones if you've got them. not those earbud things, headphones. and don't let anyone interrupt you. go hide in your bedroom.